A previous page I discussed the Holy Wells in the county. An allied subject is that of mineral springs commonly called spas. 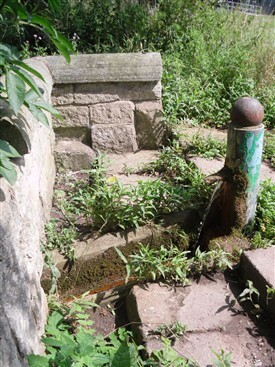 The general view is that after the Reformation many holy wells were reinvented as spas, whilst in some cases this is true (for example for Buxton’s St. Ann’s Well), Nottinghamshire’s examples are little confused. St Catherine’s Well, Southwell clearly had an existence as a spa, albeit in name, but it has been argued that a lack of pre-17th century documentation suggests that the saintly epithet was back derived to authenticate the well. 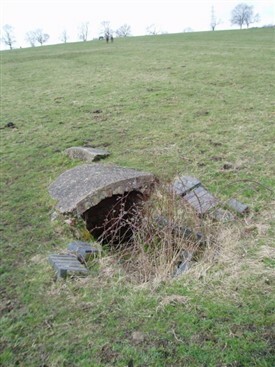 A similar claim could be made of St. John’s Well, Welham, whose despite a supposed associated feast day again may have been invented to support its development as a spa. Interesting a simple at the site of Retford’s spa was first mentioned in 1517 and is most likely to have been a holy well. Unlike nearby Derbyshire, Yorkshire and Lincolnshire where mineral springs were discovered and developed into fashionable resorts with substantial infrastructure, all Nottinghamshire sites are small scale. It is clear with some sites such as Kinoulton and Orston that development was planned and some may have occurred, especially bathing facilities at the former, but it was rather still born for some reason. Springs consist of two types in the county; those called simply mineral spring and those called Spa. The later, although derived from Spaw in Germany and of course most often associated with the larger establishments, has a more parochial use in the county, any spring thought to have medicinal properties would apparently be called a spa. 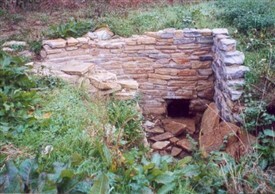 Geologically, three different types of mineral springs are found in the county: chalybeate-iron rich, sulphur and saline. The period in which spa springs were frequented is perhaps one of the greatest in the county. The earliest certain mention being the Spaw, Nottingham, mention in Corporation records in 1707. The golden age of the spa was the 1700s to early 1800s. Mention is made in 1734 at Retford, a mineral spring at Clipstone Park (Spa Ponds) is mentioned in 1749, 1769 Kinoulton’s spa and Hoveringham 1824 and Hickling 1800s. The last spa to be developed being in 1913 at Langold, where medicinal water was reached during mining work. The Langold Spa claimed that the waterwas good for curing hangovers, preventing boils and pimples and even as an aphrodisiac! Despite the late renaissance of Langold, the attendance at such springs declined in the twentieth century. Many sites such as Hoveringham has disappeared from view, others have become heavily over grown. However in some cases such as Orston, the village remain proud of their brief part in the history of mineral waters. Extracted from Holy wells and healing springs of Nottinghamshire. This page was added by R B Parish on 28/02/2013.